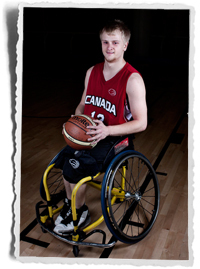 (Mexico City, MEX) Team Canada defeated Brazil 60-27 in its first game at the Men’s U23 Americas Zone Qualification Tournament on Tuesday. Both teams came out a bit nervous to start the match, but Canada finally broke the ice with the first basket of the game after five minutes of play. Regina native Nik Goncin did all of the scoring for the Canadians in the first quarter, and Canada’s stifling defence resulted in a 12–2 lead after the first quarter. Canada never looked back, stretching its lead to 29–13 by halftime and 42–21 by the end of the third quarter. Seven Canadian players made the scoresheet, with Nik Goncin leading the way with 31 points. Cambridge, Ontario’s Kevin Wakeling had a strong shooting day with 12 points. Brazil had five scorers on the day, with none making it to double digits. Maycon de Silva tallied a team-high 8 points. It was a physical match with plenty of emotion. The Brazilians began to get into foul trouble as they let their emotions run high while the Canadians kept their composure and converted from the free throw line. In the first game of the day, Mexico defeated Venezuela 102–39. The game was never in doubt, and the hosts kept the pressure on for the entire game to the delight of their fans. Brazil will play Venezuela in the early game on Wednesday at 16:00 (CST). Canada will face Mexico in the late game at 18:00 (CST). The top two teams of the tournament will qualify for the Men’s U23 World Championship set for September 12-22, 2013 in Adana, Turkey.